Crack the code of building game-changing websites, from end to end. Canada’s only full-stack program created by a university! 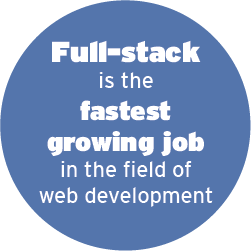 Full-stack web development is the most in-demand specialization in the field today. Until now, learning the required skills for success has always meant taking months off work. Bootcamps and other full-stack web development programs demand a financial and time commitment that just isn’t an option for most people. We believe learning full-stack web development should be accessible to anyone. Our Certificate in Full-Stack Web Development has the lowest weekly time commitment compared to other programs, giving you all the benefits of intensive learning on a relaxed schedule that fits comfortably with your full-stacked life. The Certificate in Full-Stack Web Development doesn’t just teach you to write great code. The top employers who helped us create our program tell us that they need full-stack web developers who can not only build an incredible website, but can also dive into an existing website and break it apart to fix issues, when the need arises. In essence, they want a website warrior. Consider this program your training ground! Students in our Certificate in Full-Stack Web Development are paired up with employers to work on actual web development projects, giving you the chance to hone your business and communication skills while adding a showcase to your portfolio. This invaluable experience takes your learning out of the classroom and into the type of work environment you can expect in your new career as a full-stack web developer. This program will provide you with the knowledge and skills needed to build dynamic end-to-end website products, and teach you to leverage middleware to achieve web development project goals. If that sounds overwhelming, don’t worry! You’ll be in good hands; our expert instructors have years of diverse experience in the web development industry and are hand-selected for their ability to help you reach your career goals. The Certificate in Full-stack Web Development is for anyone who wants to learn to build exceptional websites and gain a holistic understanding of how websites are designed to meet business needs. Our Certificate in Full-stack Web Development is designed to make it easy for you to balance class, work and life commitments. This is one of the things that sets our program apart from bootcamps and other similar programs. This is a 12 month in-class part-time program, with 5 days per course over the weekend (30 days in total). Understand and describe product development, product lifecycle management and client communication as it relates to web development. Discern and effectively communicate the overall architecture of any given website. Select the appropriate software and frameworks required to build or maintain a specific product. Create an end-to-end website that meets the specified business requirements. Utilize creative problem solving in order to effectively troubleshoot issues and debug broken code. Work collaboratively within a development team to produce a website solution that meets business goals and project objectives. All students will require access to a personal computer. Any software needed for web development will be installed for you free of charge. The list below provides an overview of the different software and web development frameworks/applications/languages you’ll be working with in the program. Please note that this information is subject to change. Sam Burton leads projects — like the Internet Health Report — that help people better understand and take control of their relationships with technology. 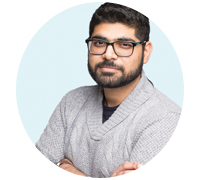 Sam has worked at the intersections between culture, technology, and human rights for over a decade, leading strategy, advocacy and communications work at diverse organizations including Engineers Without Borders Canada, the Aga Khan Foundation, and the International Freedom of Expression eXchange. Sam holds a Masters degree in Communications from Carleton University, and an undergraduate degree in Media and the Public Interest from Western University. 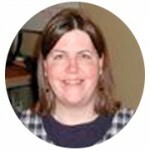 Susan Davis currently serves as Director of Engineering at FreshBooks. Her responsibilities include architecture, DevOps and operational excellence, cloud infrastructure, big data, and engineering innovation. In her 25-year career, Sue has been a developer, Agile coach, entrepreneur, and technical leader at companies ranging from small startups (including her own) to large enterprises such as Amazon, Kodak, and Avaya. An early adopter of Agile and Lean development, Sue has spent the last fifteen years guiding individuals, teams, and organizations to greater maturity and winning outcomes. 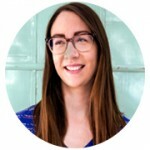 Toria Gibbs is a Senior Production Engineer at Shopify, where she works on the Search Infrastructure team. She specializes in search and information retrieval systems, container orchestration, and distributed systems. 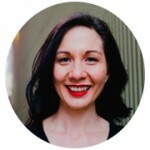 She has several years of experience in full-stack development and a passion for recruiting and mentoring junior developers. Prior to Etsy, Toria worked on financial software systems for Bloomberg. Toria holds a Bachelor of Computer Science from the University of Waterloo. Outside of work, Toria can be found giving technical talks at conferences or teaching technical interview skills to new programmers. Toria also enjoys baking cookies and playing flag football. Anton is a software engineer with a diverse background spanning web development, blockchain, conversion optimization, digital marketing, business strategy and more. 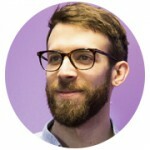 He taught Web Development at General Assembly’s Bitmaker Labs and has a huge passion for teaching, innovation and exploring the cross-section of traditional and cutting-edge technology. His current activities involve all things related to Statebox products, namely product features and roadmaps, marketing, business strategy and partnerships. 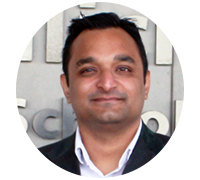 Salman has been involved in the software industry and web technologies since 1993, and has a strong consulting background, specializing in applications architecture and design. Salman has worked closely with customers to design and implement their cloud and microservices API solution based on business requirements using cloud technologies. An avid speaker at industry conferences, Salman is a self-professed Cloud & Cognitive services, Containers, DevOps and IoT evangelist. 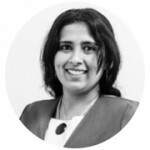 An accomplished professional with over 20 years of global technology consulting and teaching experience, gained from working in North America, Germany, Hong Kong and India, Preeti is a passionate advocate for the importance of Critical Thinking, Math and Technology education in driving innovation. In her role as Managing Director, Preeti provides leadership to promote Addity’s vision for learning enrichment by planning, implementing, monitoring and evaluating various aspects of the curriculum and the program as a whole. A proactive relationship and alliance builder, with strong people development focus, she is consistently recognized by clients for exceptional leadership and dedicated customer service. She is the past chair of the IEEE Women in Engineering group and an invited speaker at events and part of many Conference Organizing Committees. Brian Gould is an educator, musician, and avid cyclist residing in the Hamilton area. 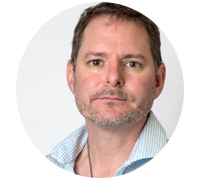 He is currently the Manager, Online Learning & Development at Mohawk College. Brian has over 16 years teaching experience having taught music, computer fundamentals, web design, and user experience design courses at Mohawk College and McMaster University. Brian is also a Certified Professional Mountain Bike Instructor (PMBIA), a Personality Dimensions Facilitator, and he continues to provide freelance consulting, design, and development services. Brian has a Master of Arts in Learning and Technology (M.A.) from Royal Roads University, a Bachelor of Education in Adult Education with Distinction (B.Ed ADED) from Brock University, a Multimedia Specialist Program Honours Diploma from Humber Institute of Technology & Advanced Learning, and an Applied Music Diploma from Mohawk College. 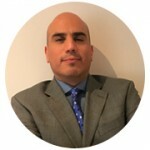 Affaf Ahtisham is a seasoned software developer and ScrumMaster with over 10 years of experience across various technology stacks, spanning multiple industries. He currently leads and manages teams of developers across different products, and is directly involved with managing production and release of software and web application solutions through a managed agile process. 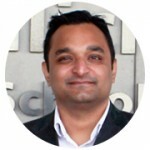 He has taught at Mohawk College as well as McMaster University within their Web Development & Design programs. He completed his B.Sc in Life Sciences from McMaster University and is currently pursuing M.Sc in Computer Sciences from University of Liverpool.